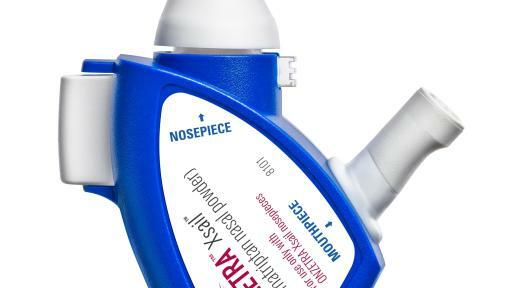 Avanir Pharmaceuticals, Inc. today announced that the U.S. Food and Drug Administration (FDA) has approved ONZETRA™ Xsail™ (sumatriptan nasal powder), formerly known as AVP-825, for the acute treatment of migraine with or without aura in adults. 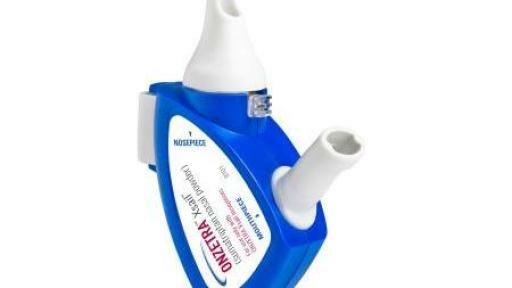 ONZETRA Xsail is an intranasal medication delivery system consisting of a low-dose (22mg) of sumatriptan powder that is delivered utilizing the novel Xsail™ Breath Powered Delivery Device. ONZETRA Xsail is a fast-acting dry powder formulation of sumatriptan, the most commonly prescribed migraine medication. The breath powered delivery technology is activated by a user’s breath to propel medication deep into the nasal cavity where absorption is more efficient and consistent. The user exhales into the device, automatically closing the soft palate and sealing off the nasal cavity. 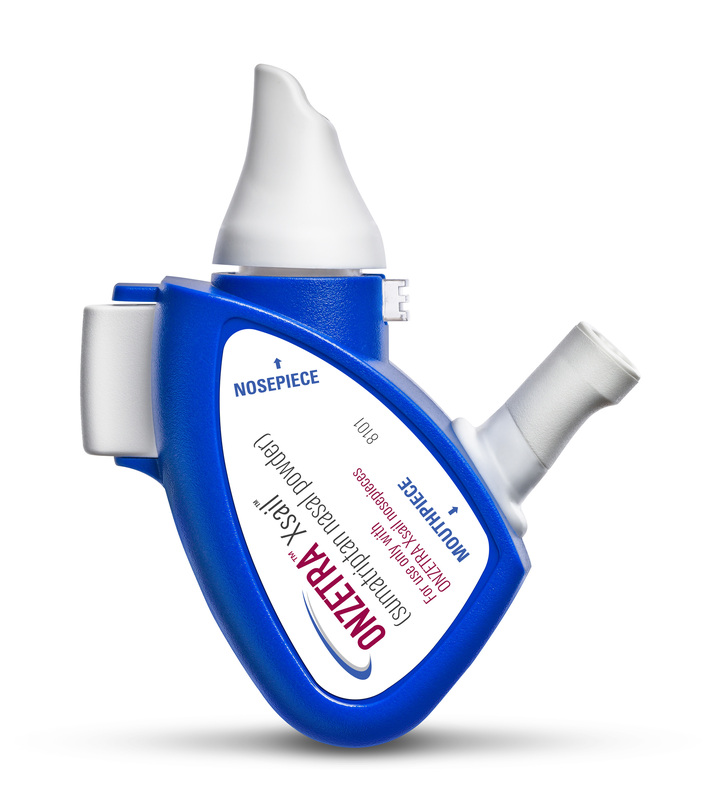 Through a sealing nosepiece placed into the nostril, the exhaled breath carries medication from the device directly into one side of the nose. Narrow nasal passages are gently expanded and medication is dispersed deep into the nasal cavity reaching areas where it can be rapidly absorbed. As the medication is delivered, the air flows around to the opposite side of the nasal cavity and exits through the other nostril. Closure of the soft palate helps prevent swallowing and reduce GI absorption. Other serious adverse events associated with the use of sumatriptan or 5-HT1 agonists include: myocardial ischemia/infarction, Prinzmetal’s angina, arrhythmias; chest, throat, neck and/or jaw pain/tightness/pressure; cerebral hemorrhage, subarachnoid hemorrhage, and stroke; peripheral vascular ischemia, gastrointestinal vascular ischemia/infarction, and Raynaud’s syndrome, medication overuse headache; serotonin syndrome; significant elevation in blood pressure; anaphylactic/anaphylactoid reactions; and seizures. Migraine represents an area of significant unmet medical need. According to the Centers for Disease Control and Prevention, over 37 million Americans suffer from migraine headaches. The triptan class of medications is generally considered the standard of care with over 14 million prescriptions written annually. 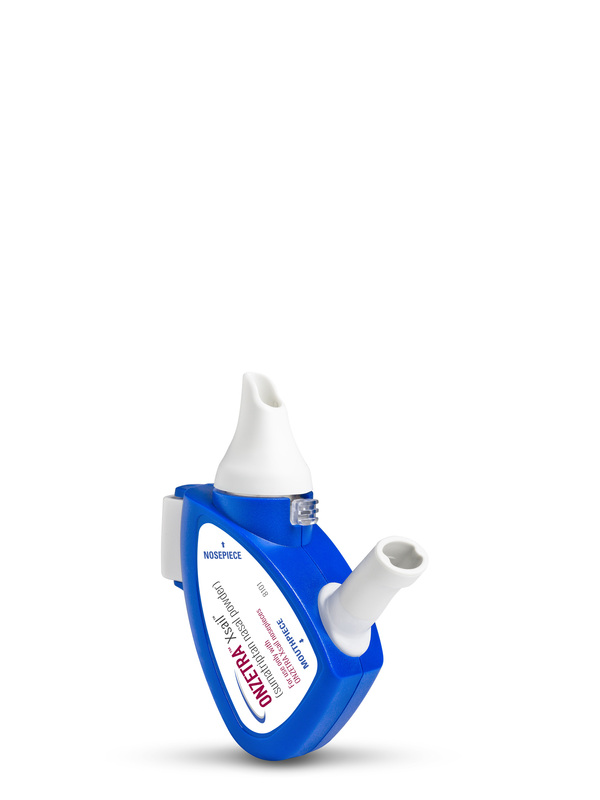 Sumatriptan is the class leader with a market share of over 50% making it the most commonly prescribed migraine drug in the United States. 100 mg tablets are the most commonly prescribed form of sumatriptan. In a published survey of 688 migraine sufferers, 71% were found to be not fully satisfied with their migraine treatment. i As a result, many migraine sufferers are seeking new, fast-acting, well tolerated treatment options. Otsuka Pharmaceutical is a leading firm in the challenging area of mental health and also has products and research programs for several under-addressed diseases including tuberculosis, a significant global public health issue. These commitments illustrate more powerfully than words how Otsuka is a “big venture” company at heart, applying a youthful spirit of creativity in everything it does. i Lipton RB, Stewart WF. Acute migraine therapy: do doctors understand what patients with migraine want from therapy? Headache. 1999;39(suppl 2):S20-S26.